Attorney Jennifer Matassa takes her role as her clients' support system seriously. Included in The Best Lawyers in America® from 2013 - 2019, she prides herself on building strong relationships with her clients in order to fully understand every detail of their case. She will devote her every effort to winning your case and recovering money for your injuries. Why did you choose Edgar Snyder & Associates? 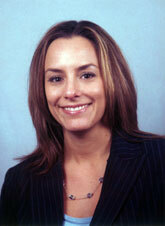 Attorney Matassa earned her Juris Doctor from the University of Pittsburgh School of Law. She received her Bachelor of Arts degree from the University of Notre Dame. She is licensed to practice law in all Pennsylvania State and Federal Courts as well as in Maryland. Attorney Matassa is a board member and volunteer for the Humane Society of Somerset County, is on the Board of Directors for Somerset County Ambulance Association, and was previously on the Board of Directors for Big Brothers Big Sisters of Somerset & Bedford Counties. She is also the vice president of the Notre Dame Alumni Club for Central Pennsylvania, through which she participates in activities such as food and clothing drives. In addition, Attorney Matassa volunteers at the St. Vincent DePaul Family Kitchen in Johnstown, PA and participates in her local Walk to Defeat ALS.